Add the egg yolks and mix until a dough forms. Turn out onto a lightly floured work surface and roll out to a thickness of about 0.5cm. Cut out shapes using a 4cm/1½in cutter. Cut out the middle of half the cookies. Place the cookies on a baking tray lined with parchment paper and bake them for 10 - 12 minutes. 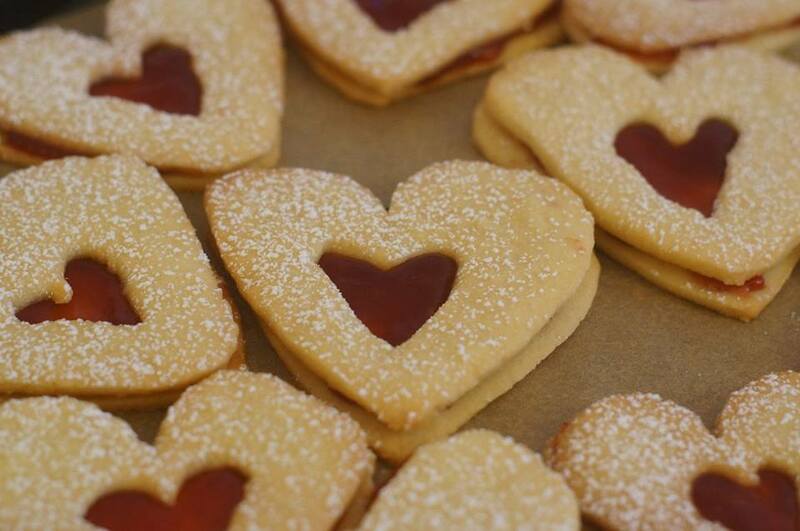 After the cookies have cooled, place a small dollop of jam or spread jam on the whole bottom half of a cookie. Then, place the top half of the cookie onto the bottom half spread with jam. Note: The original recipe can be found here.